It was the farmer who brought the Congress to power in Andhra Pradesh in 2004 and 2009. Now, it is the farmer who is rising in protest against the government. In the fertile Konaseema region of East Godavari district, farmers have begun a satyagraha of sorts by declaring a crop holiday. The rice bowl of Andhra lies barren, as farmers are refusing to sow paddy on some one lakh acres this kharif season. The protest is against a poor minimum support price (MSP) and difficulty in getting bank loans. They also want input subsidies. 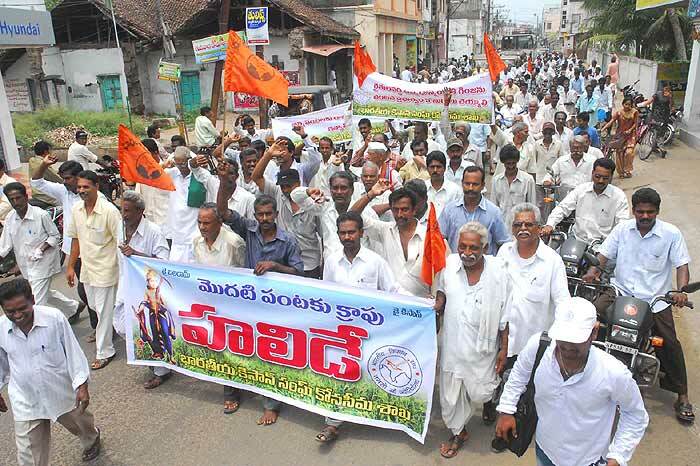 Farmers in adjoining West Godavari have also joined in. That makes it 1.5 lakh disused acres in all. While the state has appointed Mohan Kanda, a Planning Commission member, to look at the issue and find a solution, farmers have so far refused to negotiate. The committee says it will recommend measures in a month’s time. But by then the peak kharif season will be over. 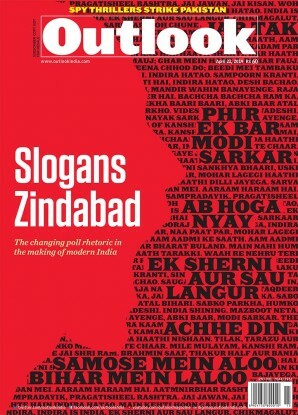 “India is called an agricultural nation, yet the farmer is treated with derision. In East Godavari, we have fertile soil, water and labour. Yet we have stopped cultivating because agriculture is no longer remunerative. The man who tills the land only incurs debts,” says Rambala Subhash Chandra Bose, leader of the Konaseema Rythu Parirakshana Samiti. The crop satyagraha idea germinated in Bendamuri Lanka village of East Godavari. At a farmers’ meeting, Suryabhagawan, a farmer who owns six acres, declared a voluntary crop holiday. “I have incurred debts and have decided it is better to earn a living as a coolie,” he said. The anger spread to 300 other farmers and soon to the entire district. On top of their list of demands is an increase in MSP, which for a 75 kg sack of paddy is now Rs 1,110, after the government announced a Rs 80 raise in June. However, farmers want the M.S. Swaminathan commission recommendation of Rs 2,042. According to Swaminathan, this has been arrived at by taking into account the total expenditure on cultivation, family expenses, plus an additional 50 per cent. Aldas Janaiah, a professor at Acharya N.G. Ranga Agricultural University, says the protest is a wake-up call. “Liberalisation of farm markets without regulation has meant that farmers are not even getting prices that compensate production costs,” he says. “Bank loans account for only 30 per cent of production costs. Farmers are forced to dip into savings or borrow from private moneylenders.” If farmers stick to their plan, the state stands to lose three lakh tonnes of rice. The TDP, the CPI and the CPI(M) have come out in support of the farmer. Telugu Desam president Chandrababu Naidu is planning a fast. He has already toured the two districts. YSR Congress chief Jaganmohan Reddy, too, has interacted with farmers. Clearly, opposition politicians have sensed a bumper harvest in the agitation.